Blue Desert website: Westcoast Music in 2007 and more! Just also remind you that Blue Desert is one of the finest place on the Web to find complete discographies of Westcoast Music and AOR artists. See their great work at this address. Blue Desert guys also take their valuable time to mention The Encyclopedia of West Coast Music & A.O.R… on the frontpage of their website. Thank you so much! Stay tuned for more Westcoast Music & A.O.R.! Do you know Net Art ? It's Internet Art by multimedia and design artists in a very creative way. I Found Michael McDonald is an experimental morphing piece of art with sampling audio and visual loops and a kind of expressive exploration of humor. Look at the multimedia result art for I Found Michael McDonald at these blogs: Umean Competitor and Yamobe An competitor. Some explanations by the artist can be read there. 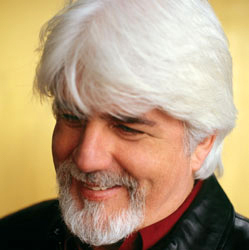 What fans of Michael McDonald think about this? 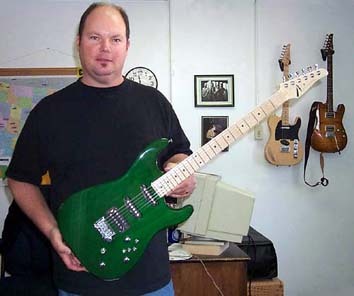 Christopher Cross European tour cancelled, Christopher Cross forthcoming album. "Christopher recently finished recording a new song written by Andrej Sifrer titled "Be the Light". Andrej is a household name in his home country of Slovenia." "I've also been back in the studio working on a few new projects. I am recording a Christmas album for release Christmas 2006. The songs are my favorite non-religious Christmas standards, as well as a couple of new Christmas songs from Rob and I. I am also recording a new version of "Best Christmas" written by my good friend Steve Dorff, whom I wrote "Swept Away" with. This is a project I have threatened to do for many years and I'm very pleased with the tracks I have done so far. Some of you who have suggested I do a more acoustic guitar type record will be pleased to know that this is the approach for this CD. It's solo acoustic and for the most part solo voice (very few BG's) as well as acoustic piano and upright bass. I may add some strings, but I am not sure at this point. One interesting note is Michael Omartian will be guesting on most of the piano tracks (...) The album will be released on Christopher Cross Records and will be on iTunes as well as retail outlets." Nadia Turner American Idol contestant has a blog, Nadia Turner in American Idol. Please note the official launch of the Nadia Turner American Idol non-official Website/ Blog which can be viewed at http://nadia-turner-american-idol.blogspot.com. This blog is focused on Nadia Turner's quest to become the next American Idol. As contestant after contestant gets eliminated… One thing is clear: Nadia Turner has what it takes to become the next American Idol. She has the talent, stage presence, and voice to win the competition. The fans and media love her. People across America are banding together each week to watch American Idol and vote for Nadia Turner. We can expect to see Nadia Turner triumph week after week, no matter what musical genre is presented. Eventually, expect to see Nadia triumph over her competition and win the coveted prize of American Idol. Expect a long and prosperous recording career soon thereafter. The non-official blog will chronicle and follow Nadia Turner all the way through the American Idol competition and afterwards. 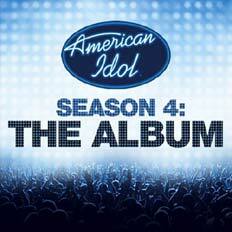 Various Artists "American Idol Season 4" new CD (2005): ORDER IT NOW. Carrie Underwood in American Idol, Carrie Underwood one of the favourite for American Idol. Carrie Underwood Fans was started shortly after Carrie's audition aired during the 2005 American Idol audition shows. It's a fan based forum community that allows fans of Carrie Underwood the opportunity to interact with one another and discuss their idol while watching her progression through the American Idol competition. The site was started on Jan 21, 2005 and recorded it's 5000th registered member on March 30, 2005. Nikki writes: "I really appreciate Carrie taking the time to sing my favorite Martina song! lol WOW! She was amazing tonight!!" Another fans writes: "I never watched American Idol until I saw her, She totally blows me away… and I hate country music..."
If CarrieFans.com is any indiciation, people everywhere are coming together to support this talented Oklahoma native. Carrie Underwood is 21 y.o. from Checotah, OK. In American Idol, she had already performed: "Independence Day", "Alone", "When Will I Be Loved", "Because You Love Me", "Piece Of My Heart" and "Could've Been". Bruce Springsteen "Devils & Dust" new album to debut exclusively as AOL Music first listen on March 28, Bruce Springsteen new album on AOL. Bruce Springsteen's new album "Devils & Dust" is not due out until April 26, but only AOL Music has the title track before it goes to radio. After successfully debuting the first four singles from Bruce Springsteen's 2002 release The Rising, AOL Music will premiere "Devils & Dust" exclusively on Monday, March 28th as part of AOL Music's First Listen program. "Devils & Dust" will be accessible to anyone on the web beginning at 12:01 AM at http://www.aolmusic.com/ and will be available exclusively for 24 hours before anywhere else. 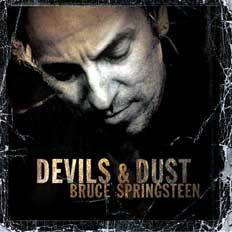 Bruce Springsteen's new album, "Devils & Dust" (Columbia Records) will be released exclusively in DualDisc format on April 26 in the US, with the full album on CD on one side of the disc and DVD content on the other side. The DVD side will feature the first live performances of "Devils & Dust" material. Filmmaker/photographer Danny Clinch captured new, acoustic renditions of "Devils & Dust," "Long Time Comin'," "Reno," All I'm Thinkin' About," and "Matamoras Banks," each with Springsteen's extensive, personal introductions. The performances were filmed in New Jersey in February 2005. The DVD side will also contain the entire album mixed in 5.1 channel surround sound and in stereo. Bruce Springsteen closed shows from "The Rising" tour by showing Clinch's black and white, super 8mm film of the performer singing a country blues version of "Countin' on a Miracle," a track from "The Rising." Danny Clinch has directed several music films, including "Ben Harper: Pleasure and Pain," and has authored two books of photography. New official Doobie Brothers website online now with a new message board. "I hope you all enjoy the new Doobies site and Message Board! Take a look around, register, and have fun! I am not going to post a list of rules here, but we generally expect you to be respectful to others. The first amendment doesn't apply here, this is the official board for the Doobie Brothers, not for everyone to exercise their freedom of speech. So be cool and let's have a great fan community grow here! PS - I don't know at this time whether or not any of the band members will be posting here, but just know that if they do, they will be moderators and their officiality will be OBVIOUS. I say this just in case we encounter any imposters. Official news and tour dates will always be posted on the homepage first! 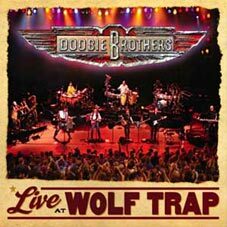 Doobie Brothers "Live at the Wolf Trap" DVD: ORDER IT NOW. Clay Aiken update, Clay Aiken news: national online petition, Lyvos Top 50, UNICEF's tsunami relief and recovery. Clay Aiken is supporting this initiative: a national online petition drive to support music in America's schools is coming to a star-studded Congressional presentation next month, but teens everywhere can still participate by visiting The Music Edge before the February 25 deadline. On March 9, talented young performers Justin Guarini, Diana DeGarmo and John Stevens from Fox's American Idol and the legendary Commodores will join other artists and education advocates to deliver the tens of thousands of petition signatures personally to members of Congress and visit Capitol Hill to make their case for saving music education in schools. The petition to Congress on behalf of music education got its start in June 2002, when Justin Timberlake broke the news on MTV's Total Request Live. Since then, Teen People and themusicedge.com have encouraged thousands of young people to add their names alongside celebrities like Clay Aiken, Nick Lachey, Sean Paul, JC Chasez, Nick Cannon, Yellowcard, Amber Tamblyn, Ashlee Simpson, Pharrell Williams, Fefe Dobson, Ben Jelen, Samaire Armstrong and Adam Brody. Lycos Announces This Week's Most Popular Web Search Terms for Week Ending February 12, 2005. 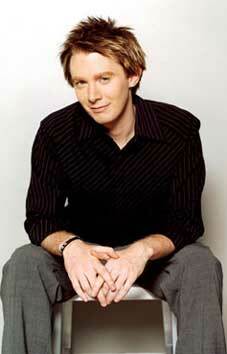 Clay Aiken supports UNICEF's tsunami relief and recovery: "Kids Help Out Matching Program." Cartoon Network and Best Western International are uniting in their support of UNICEF's tsunami relief and recovery, creating the "Kids Help Out Matching Program." The joint initiative seeks to empower, recognize and encourage the generosity and leadership of individual children, schools and youth groups in their efforts to assist those affected by the deadly tsunami in South Asia. As part of its "Best Western for a Better World" community service program, the world's largest hotel chain will double the amount raised by children through the "Kids Help Out Matching Program," directing its recently announced $400,000 UNICEF donation to this matching funds effort. Donations from kids (under age 18) to UNICEF tsunami relief and recovery will be matched retroactive to December 26, 2004 and will continue through March 31, 2005. Cartoon Network will air "Kids Help Out" public service announcements featuring some of the music world's top names singing "Give A Little Bit." 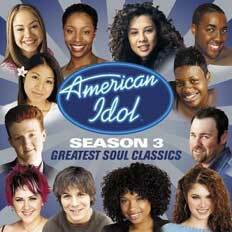 Performers include Clay Aiken, India Arie and John Ondrasik of Five For Fighting. Children, parents and teachers can learn more about the program at this website. "A Clay Aiken Christmas" DVD: ORDER IT NOW.